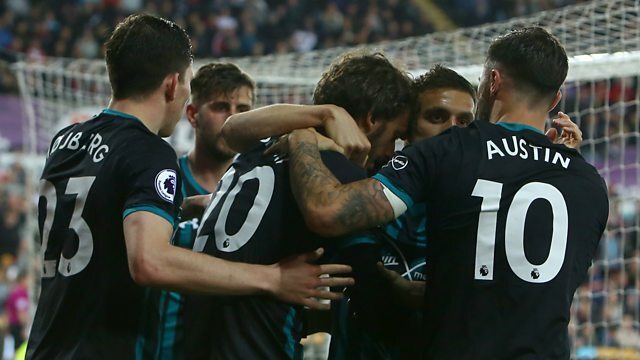 Southampton win to send West Brom down and Swansea to the brink. Reaction to a priceless win for Southampton in their fight to avoid relegation. Saints' win sends West Brom down and leaves Swansea with a mountain to climb if they are to avoid the same fate. We get Adrian Chiles' immediate thoughts on his club going down on the same day Darren Moore was named manager of the month. Features analysis from Francis Benali and Danny Gabbidon and post-match interviews with managers Carlos Carvalhal and Mark Hughes.